*** Imagine waking up and walking out to your own PRIVATE OASIS! This 3 bedroom, 2 bathroom home has been meticulously maintained and updated to appeal to the most modern buyer. The MASTER BATH has a European Influence and design all it's own with vintage barn door, glass shower, and updated tile. The second bath is Italian-Inspired with Claw Tub and updated tile. Home has new tile throughout living areas and NEW bamboo inspired floors in the bedrooms. 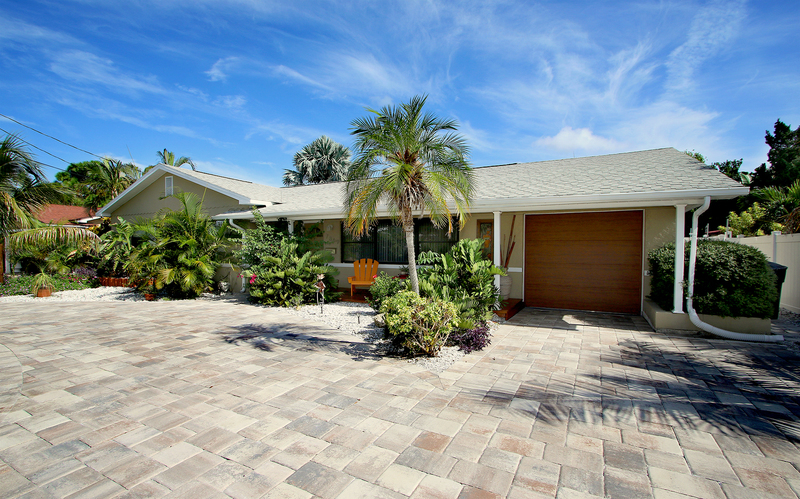 The front yard BOASTS CURB APPEAL with a TROPICAL LANDSCAPE, Island-feel patio, modern-rustic garage door, and Italian-paved circular driveway - fitting several cars or boat. The backyard is a treat to behold complete with POOL and SPA, come home to piped in surround sound music and dance your night away on the paved entertainment area! Located just a short walking or biking distance to the Gulf of Mexico and Treasure Island Shopping and Business District.